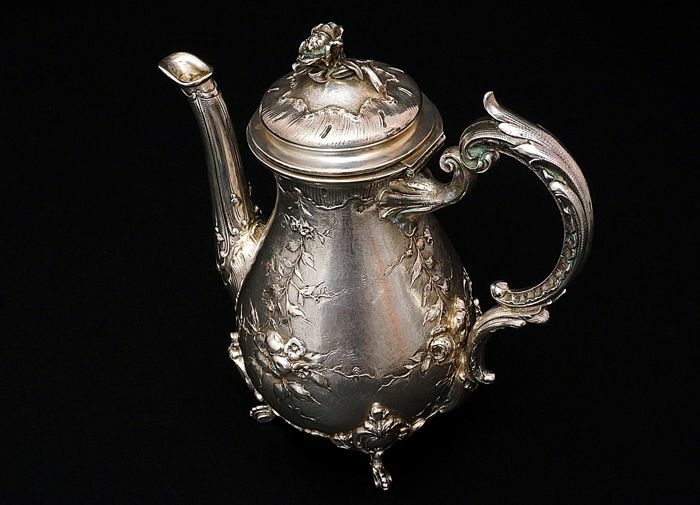 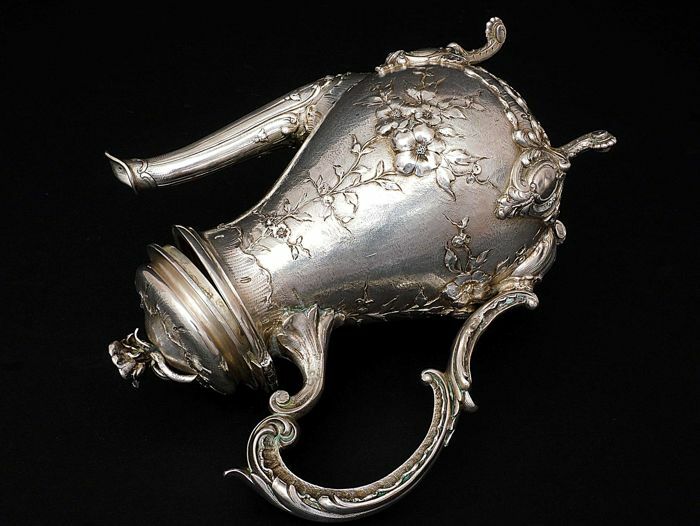 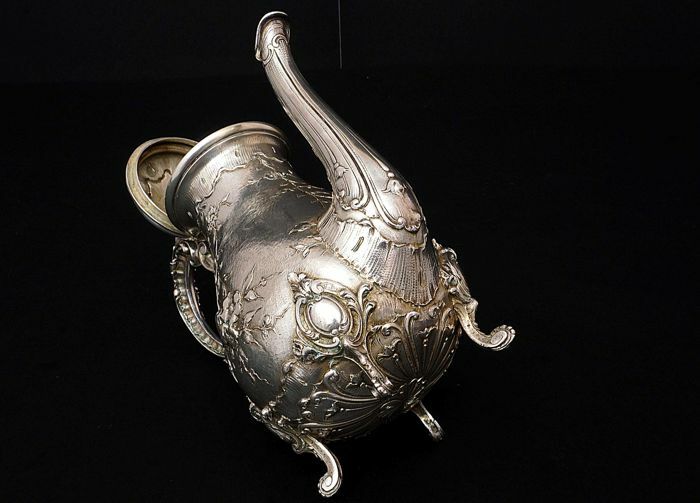 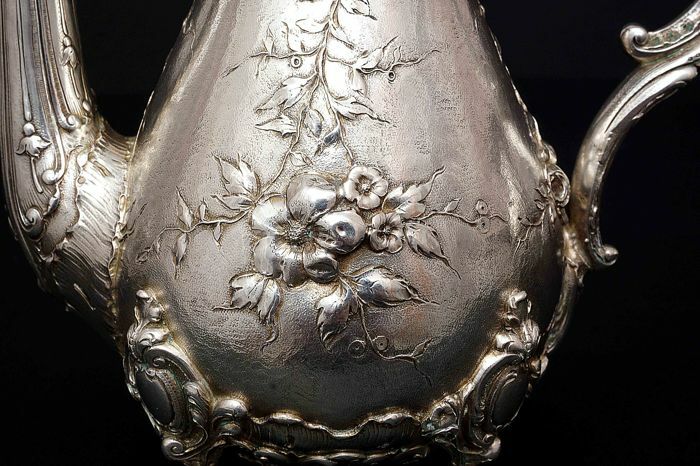 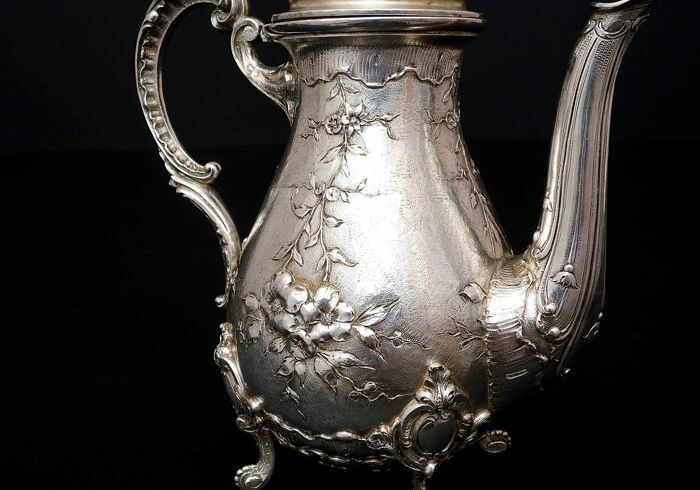 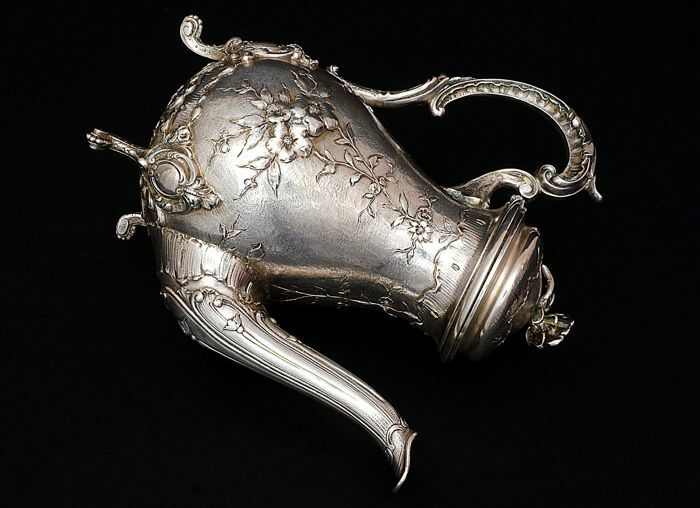 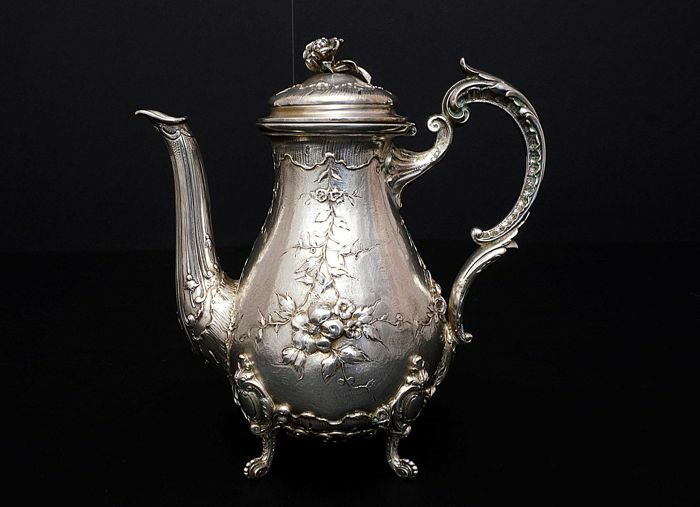 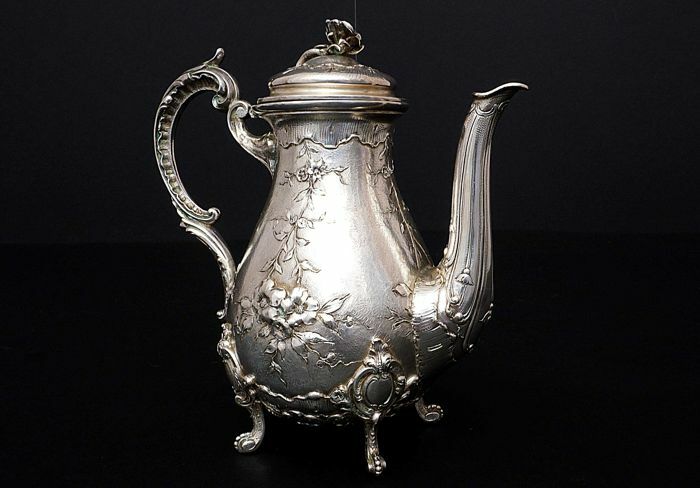 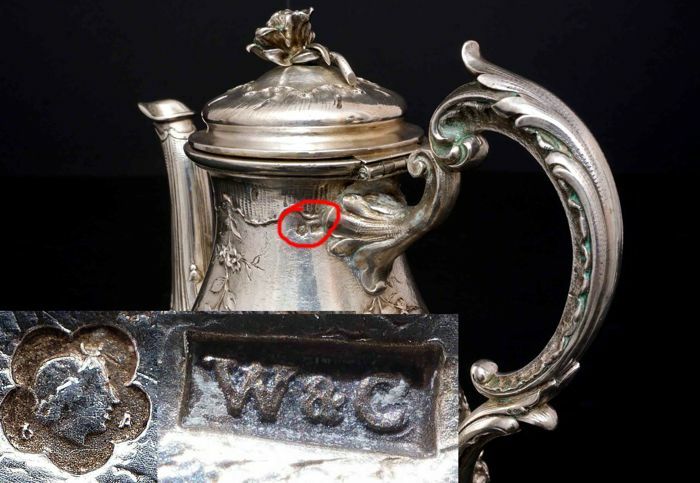 Coffee pot in Art Nouveau style made of 800/1000 silver. 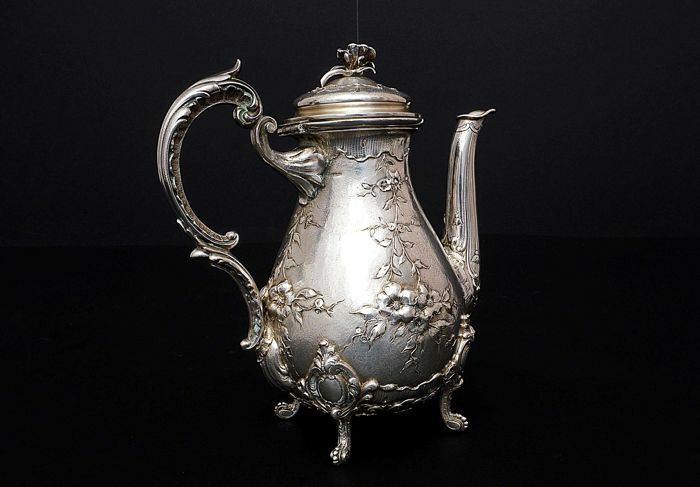 Height 18 cm, range 16,5 cm. 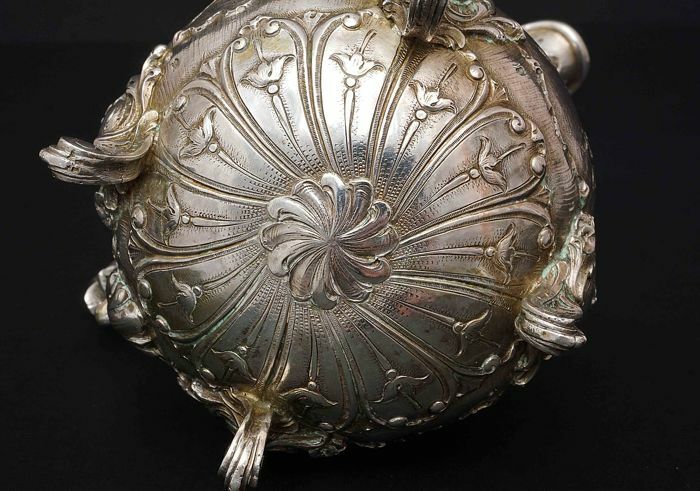 Net weight of silver -462 grams.